Global XR leaders will be gathering in Europe and US this April & May. The XR industry is facing a turning point. Since the global economy might be on the brink of a new recession, emerging technologies need to reassess their position on the market. With varying adoption rates across industries, virtual reality, augmented reality and mixed reality have to adapt to the downturn of the economy. In view of the challenging situation that business leaders and professionals must face, ARPost is proud to announce our partnership with VR Intelligence for two major XR industry events. These events will take place in Europe and the United States and will bring together top level executives, content creators and immersive tech companies. The two events will focus on sharing the latest industry developments and facilitating business networking. Together, the events will cover the entire spectrum of the XR market. VRX Europe will focus on the consumer and enterprise markets in relation to immersive technologies. VRX: Immersive Enterprise will explore the impact of these technologies on key industries, such as construction, automotive, retail and others. Monetisation of XR – what ensures success? Apart from these expert speakers, VRX Europe will also include key participants from the XR industry: content creators, enterprise/consumer brands, as well as immersive technology hardware and software companies. VRX: Immersive Enterprise conference is focused on three key issues: reducing costs, increasing productivity, and improving performance. The expert speakers and panel discussions will focus on ways in which the XR industry transforms all the other industries, from product design, to marketing and employee training. The agenda of the 2-day event will focus both on theoretical aspects and on real life enterprise applications. During the first day, speakers will prove the business case for XR adoption at enterprise level, through market insights, case studies and analysis forecasts, among others. Day two will focus solely on specific use cases of XR industry for: workplace collaboration, training and onboarding, design and visualisation, as well as product marketing. Amy Peck, Founder and CEO at EndeavorVR. As media partners of these events, we are able to offer a special 15% discount to our readers for both VRX Europe and VRX: Immersive Enterprise. Claim your special discount by entering the code ARP15 during the registration process. If you are interested in attending VRX Europe, you can register here. 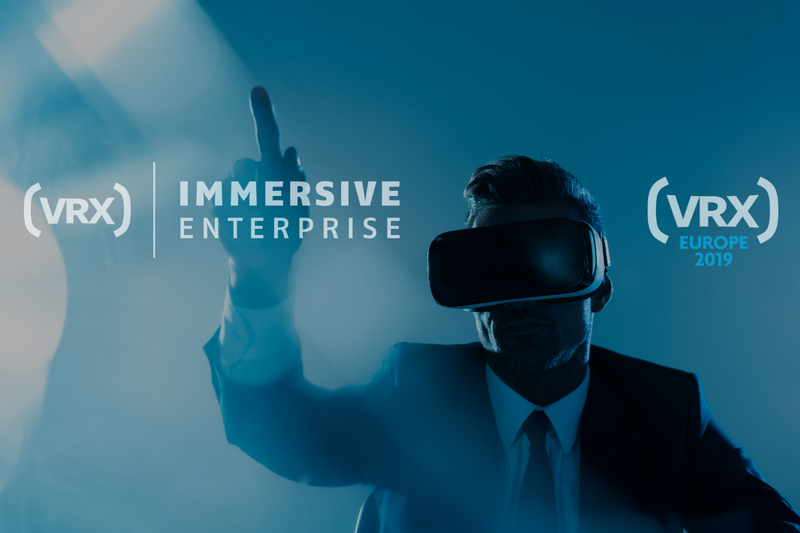 For VRX: Immersive Enterprise event registration, click here. We would love to hear your feedback after you attend these events!